Allied Construction & Renovation, Inc.
Creative Outdoor Design & Lawn Maintenance, Inc. 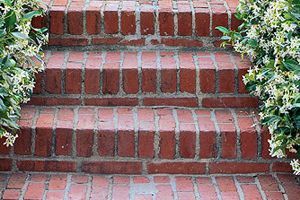 Comment: I would like to get an estimate for getting some brick areas repaired. It is on the outside of the home. Comment: I would like to get an estimate for Repair 2 steps. Add stone to top and front of existing stoop. Possibly extend stoop out and replace sidewalk. Comment: Concrete and stone steps and wall leading to front door. New railings needed as well. Pro Stone & Concrete Inc.
Marietta Brick & Stone Masonry Contractors are rated 4.70 out of 5 based on 1,068 reviews of 51 pros. Not Looking for Brick & Stone Contractors in Marietta, GA?